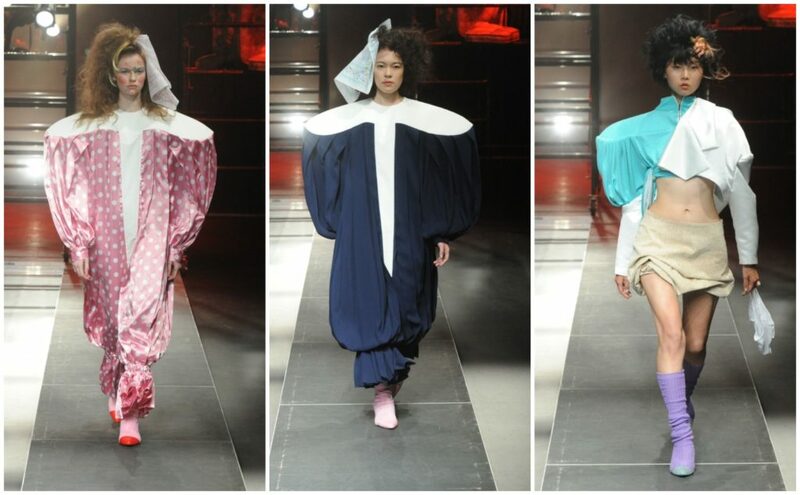 From asymmetric shirts to manga-inspired giant hoop pockets, the second edition of this year’s Tokyo Fashion Week surely showed us some unique looks. 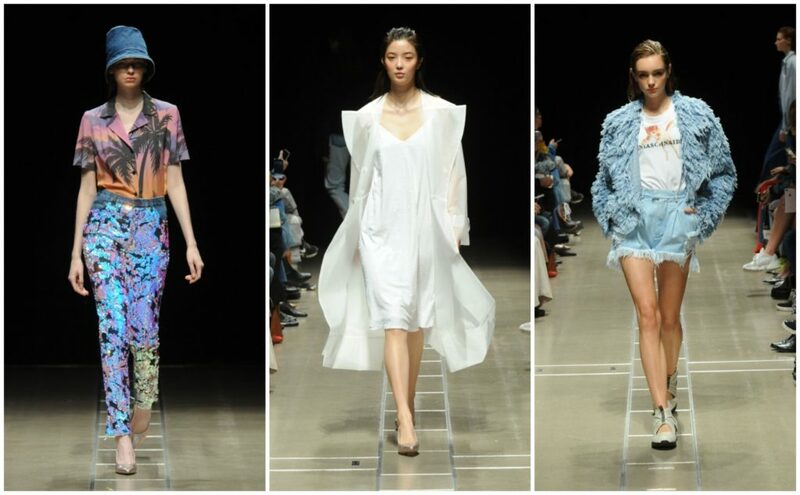 Twice a year, various venues across the city are transformed into catwalks for Tokyo Fashion Week, which is widely considered to be the most important fashion event in Asia. The most recent edition, showcasing next spring’s designs, took place between October 15 and 21 at locations such as Shibuya Hikarie and Omotesando Hills. 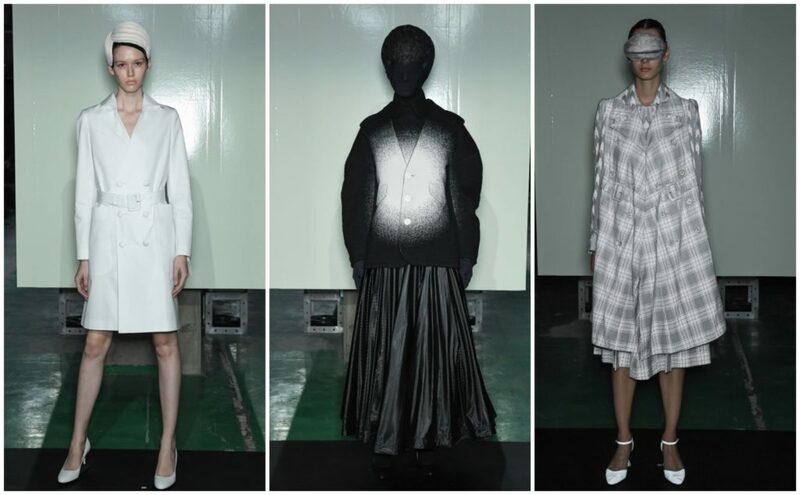 The week was punctuated by large-scale shows by some of Japan’s most beloved brands, sponsored by Amazon through its At Tokyo program, which aims to give a platform to designers who would not normally show during Tokyo Fashion Week. Once again this season, some of the At Tokyo shows were the most talked-about of the week, bringing back Tokyo-born brands that have already graduated to showing their collections in fashion capitals such as New York or Paris. Here are the brands that truly stood out from the rest this year. This popular menswear brand, designed by Daisuke Obana, has been participating in New York Fashion Week for eight years now, meaning many of its Tokyo-based staffers had never seen it on the runway. 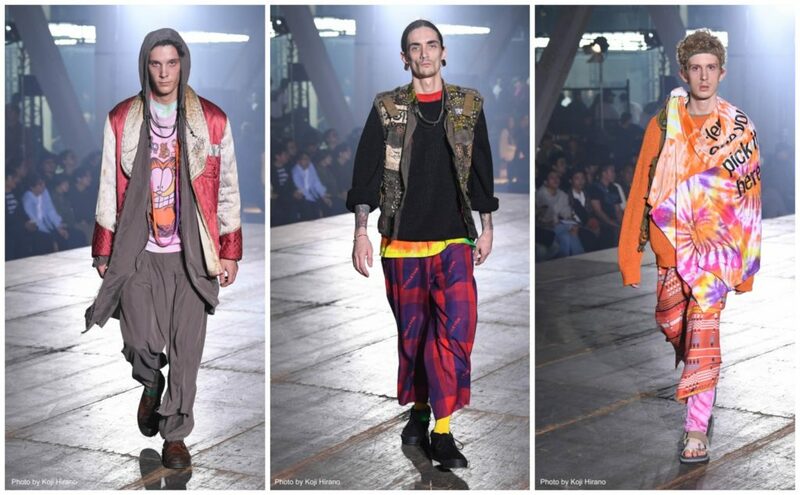 But the brand made a triumphant return to its home city with an energetic show staged in a large warehouse space near Shinagawa. Obana showed some Arizona-inspired pieces from the collection he debuted in New York in July, but mixed them with original “remade” items and pieces from his own personal vintage collection (which, considering he got his start in fashion as a buyer for a vintage store, is bound to be extensive). Kunihiko Morinaga has been pushing the boundaries of fashion for 15 years now, but for several seasons he has been doing it on the runways of Paris. 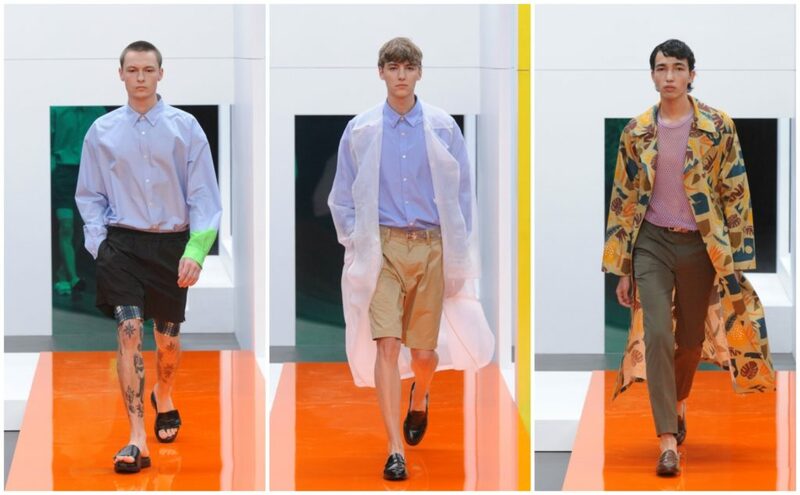 This season, thanks to Amazon, he was able to stage a retrospective show featuring both his latest color-changing spring collection, as well as looks from all of his past seasons. In addition to silhouette, texture and color, Morinaga often plays with light. Some of the pieces looked subdued but glowed brightly when photographed with a flash, while other all-black looks revealed colorful elements when under a special spotlight in the dark. Another Paris transplant, Masanori Morikawa did a joint Tokyo show with Shinpei Yamagishi of the brand Bed J.W. Ford. Held in a parking garage in Shibuya, the gritty, industrial setting formed the perfect backdrop to showcase the contrasts between the two brands. Morikawa’s collection consisted of tailored black trousers, asymmetric white shirts, blazers with snaps down the sleeves, and lots of separates in matching, striped shirting material. 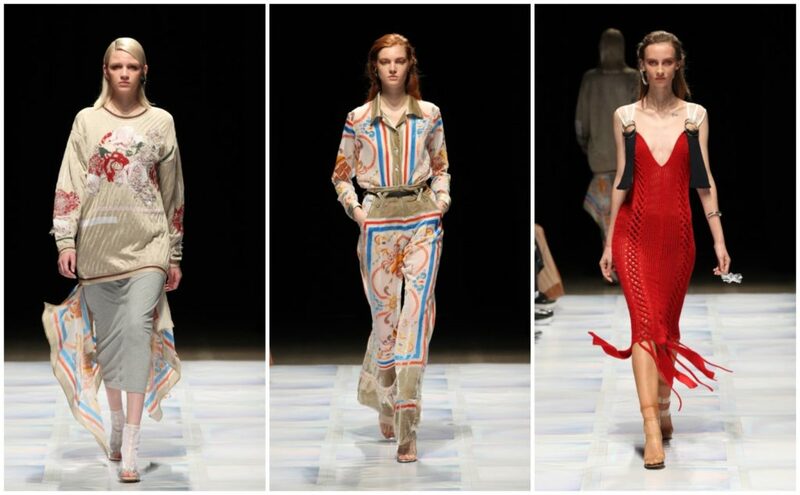 It showed both creativity and polish, hinting at his Japanese roots and Paris experience. Other than these big names, the most recent Tokyo Fashion Week generated less buzz and had fewer clear stars than some previous seasons, leaving many people to wonder who would be the next big designers to emerge from Japan and potentially succeed overseas. Nevertheless, there were still a handful of brands that are definitely worth watching in the future, and the interesting thing is that not all of them are even Japanese. Mari Odaka’s background as a knit designer was clear, as she showed elegant sweaters and dresses in a variety of contrasting textures. She paired these with pants and blouses in matching scarf prints, sheer trousers, and loose-fitting denim. 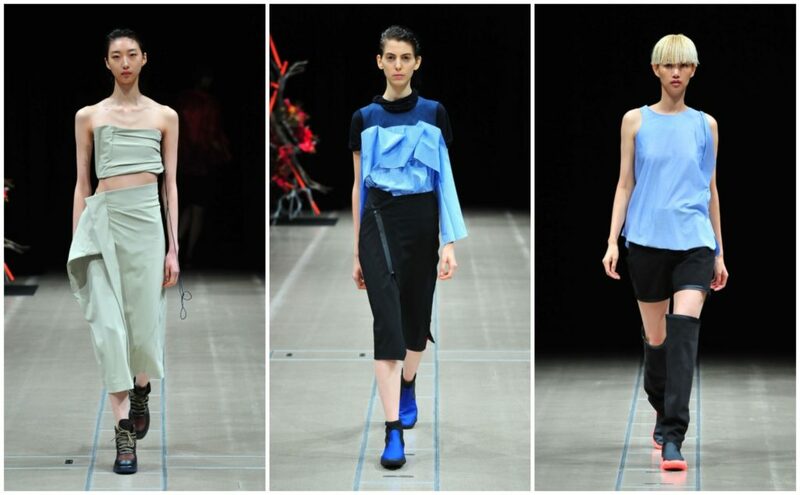 Austrian designer Lisa Pek lived in Japan for two years and met her Japanese husband here. And while she no longer calls the country home, it has without a doubt had an influence on her design aesthetic. 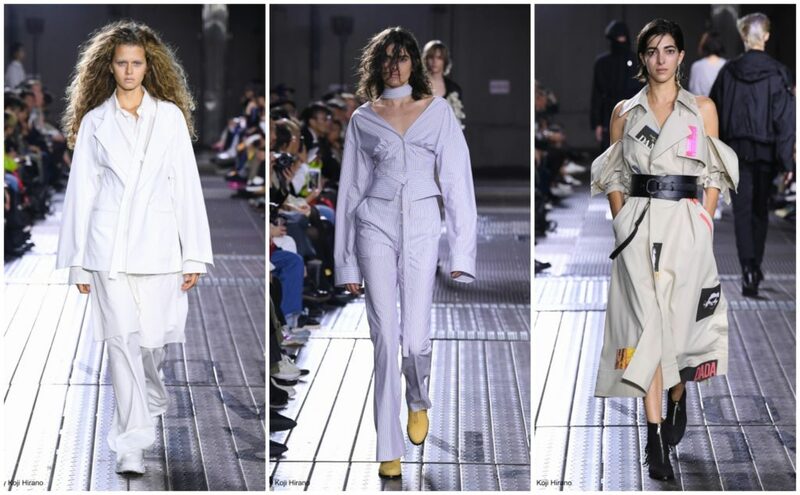 Her sporty offering of asymmetrical dresses, shirts and skirts in tech fabrics showed a mix of European and Japanese sensibilities. Yukiko Ode and Hideaki have been reimagining classic military pieces for the past few seasons, and for spring they did their own modern take on jackets and pants originating from the 1930s and 40s. The result was beautifully crafted, classic pieces made from the best fabrics available. The designers also showed the latest installment of their ongoing collaboration with The North Face, which included parkas, sweatshirts and leggings, among others. For her first show in Tokyo, this Kiev-based designer turned out a collection inspired by Ukrainian resort fashion in the post-Soviet era. She told journalists that young women in the region get dolled up in heels and full makeup to go to the beach, so she took this kitsch look and made it modern, fresh and relevant for an international audience with frayed denim and sequined, sunset-print t-shirts. Tokyo fashion veterans Takeshi Osumi and Yuichi Yoshii know how to dress stylish men, and they also know how to put on a good runway show. Their theme for spring was “vibrant,” as was their color-blocked runway. The designers mixed athletic influences with tailored pieces, dressing their models in brightly colored shorts, patterned leggings, checked sport coats, and shirts with contrasting cuffs. They accessorized the offering with a variety of bags designed in collaboration with brands such as Karrimor, Outdoor Products and Speedo. Taiwanese designer Shuei Jen-Fang often draws inspiration from anime, manga and Tokyo subcultures, and for spring she created her own version of a classic storybook tale. Sweet dresses in florals and picnic tablecloth checks were given slightly odd, humorous twists like giant hoop pockets and asymmetric ruffles, thong-like “underwear” worn over the top, or were unbuttoned to expose the model’s navel. What’s your favorite look from the above? Let us know in the comments!